Zoom out on a waterfall thundering through rocks. hd00:25A fat blue waterfall thunders through boulders. hd00:27Liquid smoke and liquid pour on the berries in chocolate. 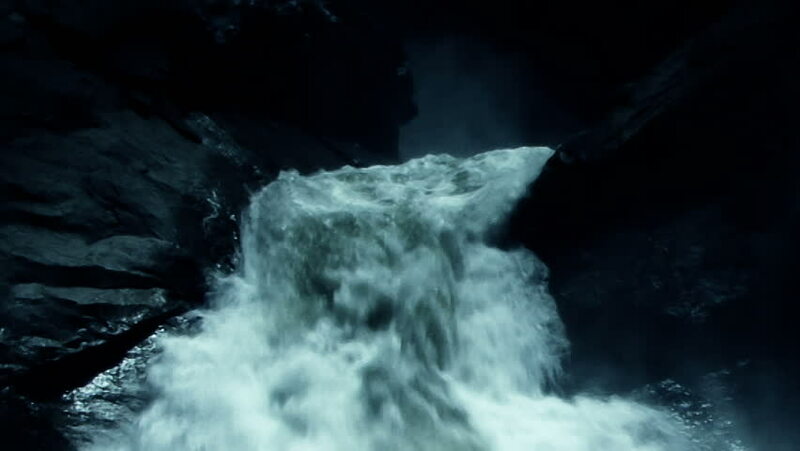 hd00:15A short fat waterfall thunders into a mountain pool.